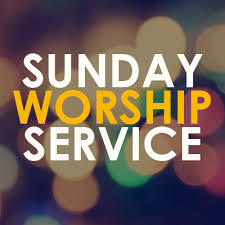 Sunday Morning Worship begins at 9:45am and convenes at approx. 12:30pm. Concord's Outreach Ministry ... As we walk together in Christian Love to strive for the advancement of this Church and promote its Prosperity and Spirituality, let us continue to pray for our Pastor and his Divine Wisdom directed through the Holy Spirit. Let us also continue to Pray for the Sick and Shut-in, the Bereaved, those in Nursing Homes, the Homeless, those behind Prison doors, and for those who have not yet come to know Jesus Christ as their Personal Savior. Pastor Doe’s weekly Television broadcast airs every Tuesday at 10:00 a.m. on WATC TV-57 or visit their web site watc.tv to view their live stream broadcast page. Tune in! DVDs are available of Pastor Doe’s weekly sermons. Place your orders today by emailing firstladydoe@yahoo.com.